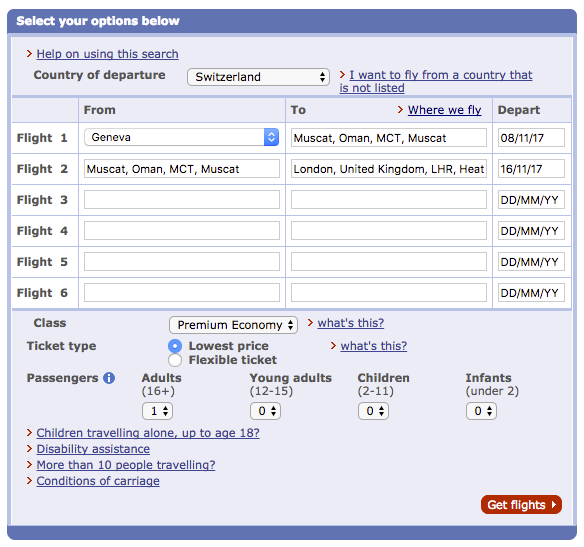 There are some excellent Premium Economy fares on British Airways from Switzerland to the Middle East at present. They’re available from both Geneva and Zurich to Muscat, Dubai and Abu Dhabi. The catch is you need to return to London, rather than all the way to Switzerland. I suspect for most people, this will actually be a net positive rather than a negative! I put the following search into ITA Matrix using their multi-city functionality. The cheapest fares are from Geneva to Muscat, however most of the departure points and destinations are within a few pounds of each other. 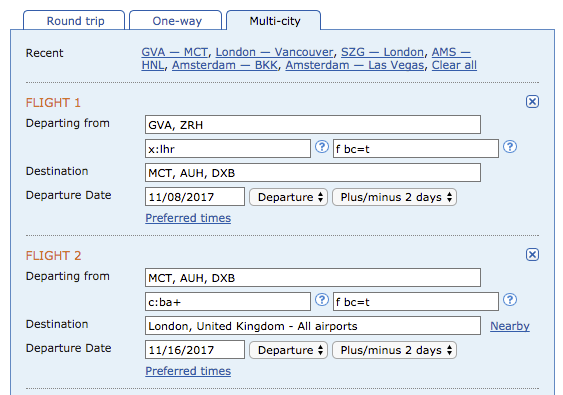 For example if we filter using the from/to feature, we can see that we can pick either Geneva or Zurich and any of the Middle East airports. 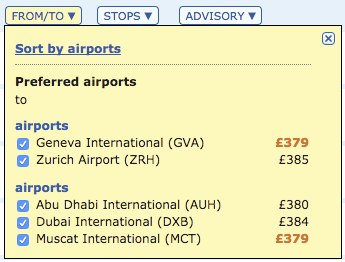 So picking Geneva to Muscat as an example, it should price up at under £380. 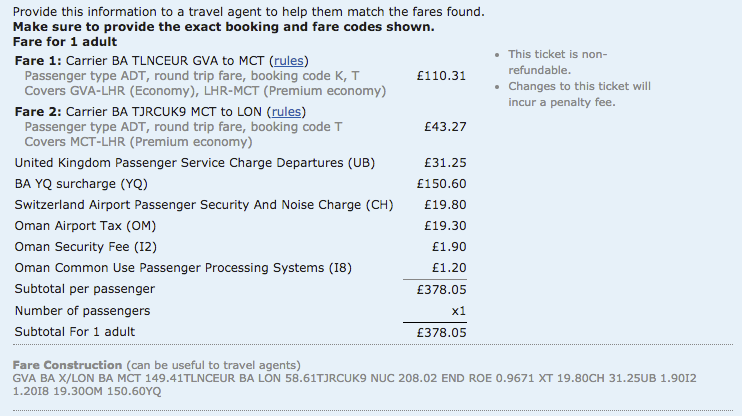 With the full fare breakdown as follows. 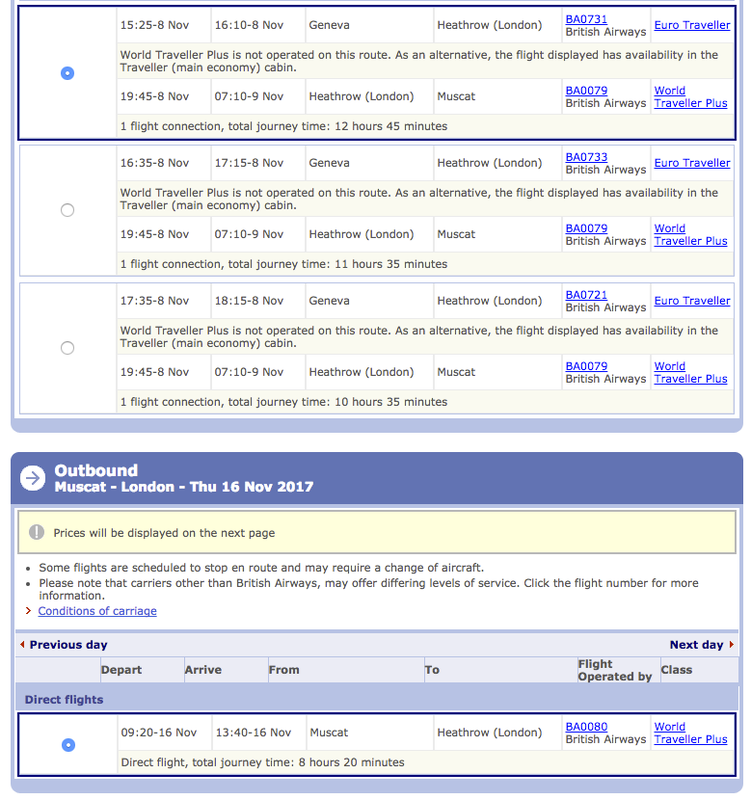 This is bookable on BA.com by using the multi-city feature. We need to put them in as follows, making sure we replicate the right dates that we want from ITA Matrix. We should get a long list of flights returned. We need to take care to select the right combination that we saw on ITA Matrix. We should then be presented with the right price, in local currency, and be proceed through to the booking pages. In this case 496 Swiss francs is around £380 at the time or writing. These fares should also be upgradeable with Avios (pending availability) to Club World. 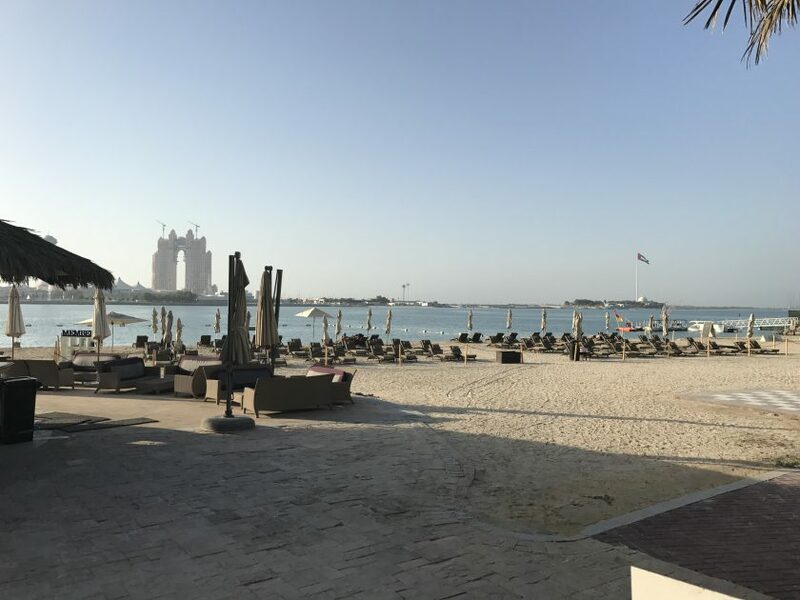 As always, good fares like this don’t tend to be around for long, so if you’re looking for a weekend in Dubai, then get those magic sixteen digits handy. Previous Post: Qatar Airways Sale. Again. Next Post: Air Berlin likely being split between Lufthansa and easyJet.